A durable and lightweight UV torch with 9 ultra-violet LEDs. Its 385nm light makes it ideal for use with GlitterBug Potion and GlitterBug Powder. 1. Dust a surface with GlitterBug Powder prior to cleaning. 2. After cleaning has been carried out shine the torch on the areas that have been dusted to see if all the Powder has been removed. Ideal for checking that door handles, toilet flush buttons and work surfaces have been properly cleaned. 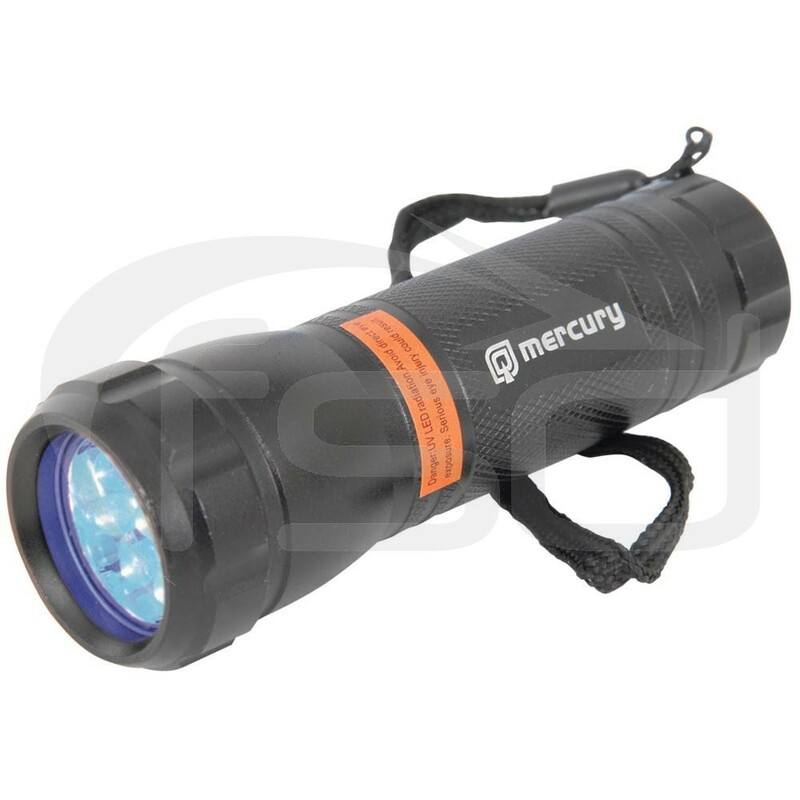 This torch has a heavy duty aluminium casing and small enough to pop in a pocket.